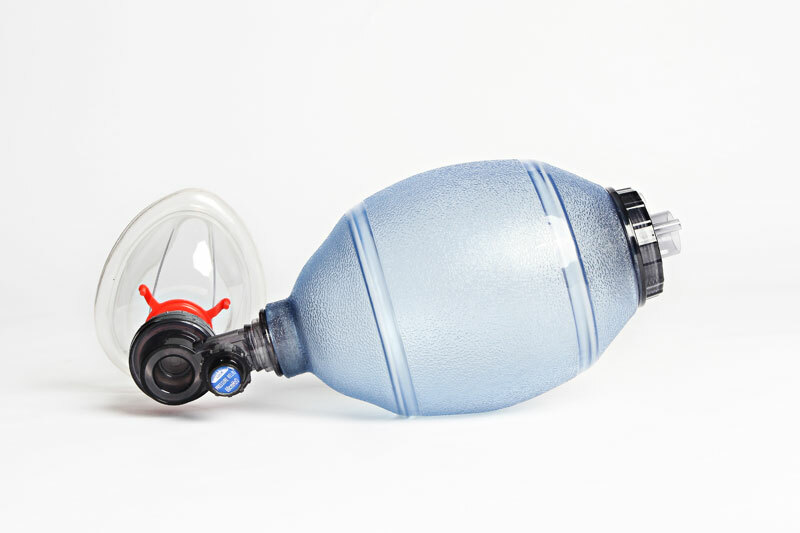 Adult bag valve mask for training purposes only. Not for clinical use. Oxygen tube and reservoir bag not included.